Do you sit for a long time? 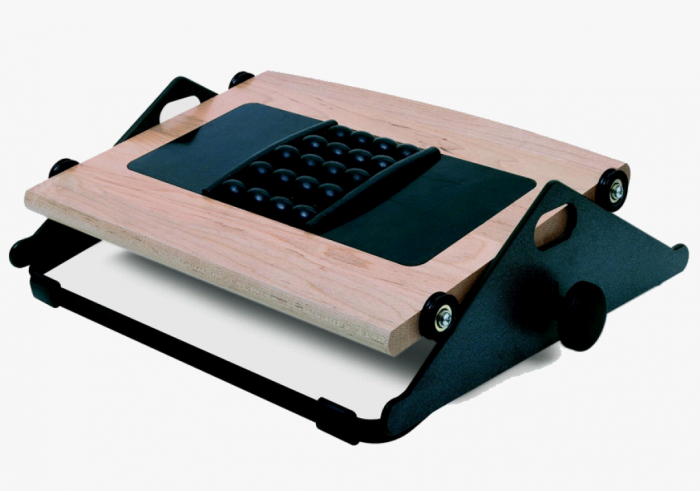 Studies have shown that footrests improve your posture and circulation, as well as reduce muscle fatigue. The FM300B and FM300DC foot rests, with their ball bearing rollers, encourage users to move more by rocking their feet. This rocking motion uses the lower leg muscles to increase healthful circulation. 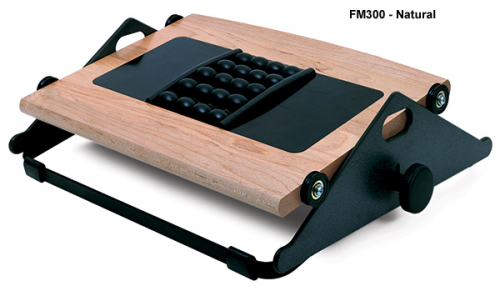 The FM300B offers built-in massage balls to rejuvenate tired feet. 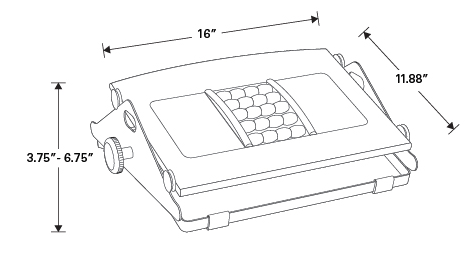 In addition, both foot machines offer three-inch height adjustment for custom positioning. Our foot machines also raise the feet to relieve pressure on the lower back when sitting. Studies have shown that moderate movement throughout the day promotes circulation and increases productivity. 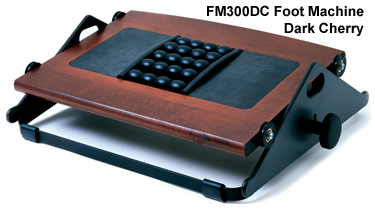 By stimulating the lower back, leg muscles and feet, the FM300B and FM300DC foot rests increase circulation and contribute to a sense of wellness. Featuring ball-bearing rollers and up to three inches of height adjustment, the FM300B and FM300DC bring flexibility and personalized massage therapy to the workspace by encouraging rocking throughout the day. 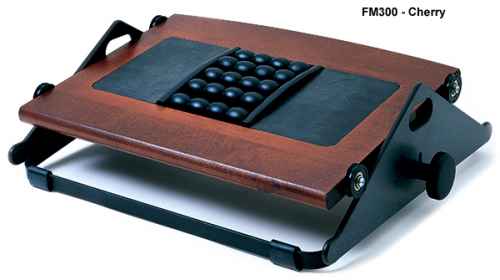 With a platform built from solid hardwood and phenolic side supports, the FM300B and FM300DC foot rests incorporate thoughtful design considerations into a timeless aesthetic. Built-in foot massage balls to rejuvenate tired feet – the FM300B and FM300DC is your personal workstation reflexologist! Humanscale Foot Machines offer relief from prolonged sitting by stimulating movement in the feet and legs throughout the day. They encourage a gentle rocking motion—which uses most of the lower leg muscles—to increase comfort and healthful circulation. They also elevate the feet to relieve pressure on the lower back. 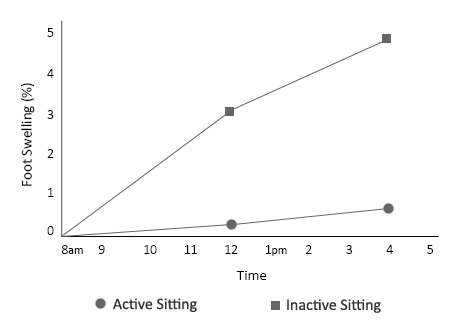 Office work can have a similar effect, as hours of sedentary computer work can slow circulation. But with a Foot Machine, the user is encouraged to engage in Active Sitting. The gentle rocking motion keeps the legs and feet moving, increasing circulation and preventing swelling.